Fantastic review for Panama Papers in Variety! 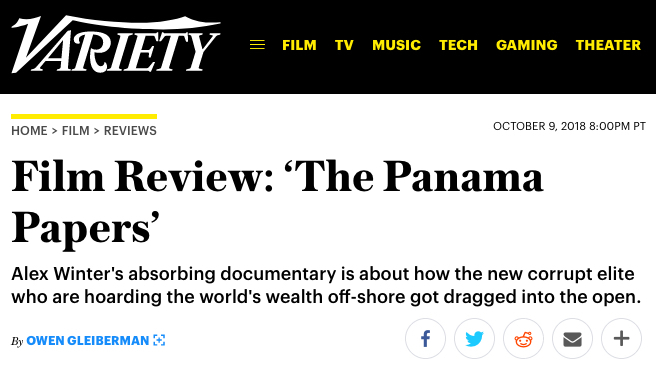 We are thrilled with Owen Gleiberman’s insightful review of Panama Papers in Variety. It’s a great start for the roll out!